Has someone close to the evad3rs team stolen and sold one or more of the exploits used in the jailbreak of iOS 7, or is this the result of an opportunistic hacker looking to stir up the jailbreak scene in the absence of any new news? 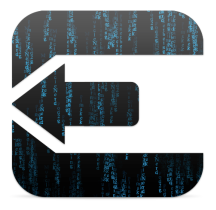 Were Jailbreak exploits for iOS 7 stolen from the evad3rs team? When followed up with a question regarding the status of the team’s efforts at this point @pod2g added “the jailbreak stuff is moving on, but slowly.” Not a fountain of information, and definitely not the response the jailbreak community was hoping for, but that’s the way it goes sometimes. With iOS 7.1 beta 2 going live last week, and the fact that it’s looking like a pretty major update, it is doubtful that we would see a new jailbreak until it is released anyway. Stay tuned, as we are following this story closely, and hope to hear more progress updates in the near future. Unfortunately, thought, all we can do right now is wait, as there typically isn’t a pre-announced jailbreak release date.